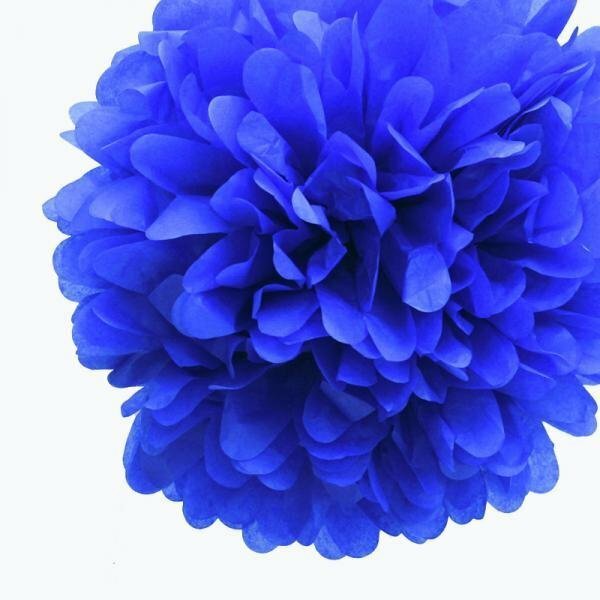 Gorgeous royal blue mini tissue paper pom poms are perfect for adding a pop of colour and whimsy to your party decorations, these look great hanging from trees, ceilings and are the perfect wedding or party decorations. These pom pom flowers are approximately 13cm in diameter when fully fluffed. Choose from 40 different colours of Mini Paper Pom Poms. View the full range here.